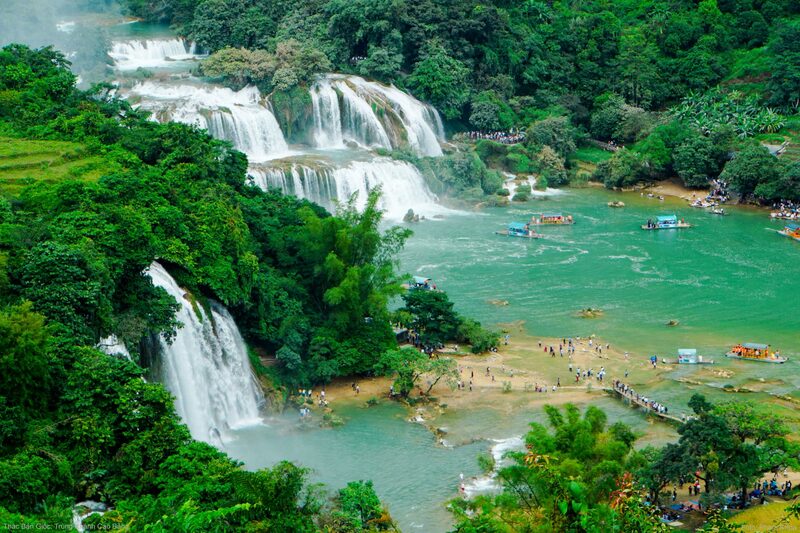 A park in the northern Vietnamese province of Cao Bang has been recognized as a UNESCO Global Geopark. The Executive Board of the United Nations Educational, Scientific and Cultural Organization (UNESCO) gave the title to the Non Nuoc Cao Bang Geopark during their 204th meeting in Paris on Thursday. Non Nuoc Cao Bang is Vietnam’s second park to be recognized as a UNESCO Global Geopark, joining the ranks of the Dong Van Karst Plateau in the northern province of Ha Giang. Located about 300 kilometers from Hanoi, the 3,000-square-meter park is home to fossils, ocean sediment, volcanic rocks, minerals, and karst landscapes which offer researchers insight into more than 500 million years of Earth’s history. The park is also known for its rich biodiversity, including hundreds of species of fauna and flora. Tangible and intangible cultural heritage sites are scattered throughout the park, particularly Pac Bo, where late President Ho Chi Minh lived and worked for several years and the Tran Hung Dao Forest, where the Vietnam Propaganda Liberation Army (the predecessor of the Vietnam People’s Army) was established. It is also home to Ban Gioc, the world's fourth-largest cross-border natural falls. According to Deputy Minister of Foreign Affairs Le Hoai Trung, the title is UNESCO’s recognition of diverse landscapes and the spiritual cultural values of the Non Nuoc Cao Bang area. It will also help the province boost sustainable socio-economic development and improve local living standards, Trung added. Authorities in Cao Bang Province pledged to continue assuring the sustainable conservation and development of the Non Nuoc Cao Bang Global Geopark in conjunction with the province’s socio-economic development. UNESCO Global Geoparks are single, unified geographical areas where sites and landscapes of international geological significance are managed with a holistic concept of protection, education, and sustainable development. There are currently 127 UNESCO Global Geoparks across 35 countries. Non Nuoc Cao Bang was established in 2015. In November 2016, local authorities submitted a dossier to UNESCO for the recognition. A UNESCO survey team visited the province in July 2017 to assess the park’s values and conservation work.